What makes our heating and cooling systems Advanced Comfort Systems? Engineering. For Rich Cavanagh, owner of Advanced Comfort Systems, heating and cooling aren't merely a vocation, but a mission, a passion. He is genuinely excited by emerging technologies and green initiatives and how they can be put to use to make your heating and cooling systems more effective and more efficient. Rich evaluates new technologies to differentiate between innovations and fads. While our designs are high tech and cutting edge, we use parts that are readily available and easily serviceable. An Advanced Comfort System gives you the best of both worlds. Customization. With Advanced Comfort Systems you'll never receive a generic solution to such a personal and unique application. We learn about your house top to bottom, from the inside out. 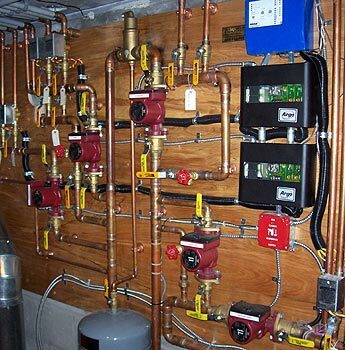 We pay attention to size, age, construction, layout, insulation, setting, and more. We learn how you live in your house; room usage, ingress and egress, window and door usage. Then we take the time to understand how you want and need it to all come together. We perform room by room heat loss calculations to fully understand how your home fits into the equation to accurately size your heating system to your home. 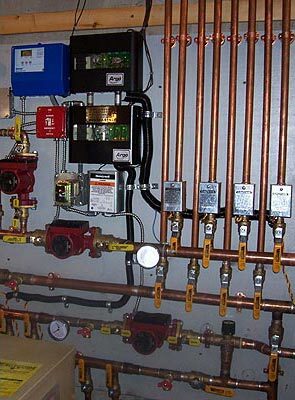 Only then can we design a heating or cooling system that's not only right for your home, but for how you and your family live in your home. It's why Advanced Comfort Systems can deliver unsurpassed comfort in heating and cooling systems in the Hudson Valley. Elegance. Our prefabricated system panels are assembled in our workshop. General Dwight Eisenhower said "good planning is indispensable", and our system panels embody good planning. They are clean, logical, and easily serviced with off the shelf parts. Their complexity is truly in their simplicity, something that is not easy to achieve but very easy to appreciate. We are often told that our panels look like sculptures or industrial art! We're flattered, but it's important to remember that our panels are not only about form, but function. That's something you and your family will always love about your own Advanced Comfort System!